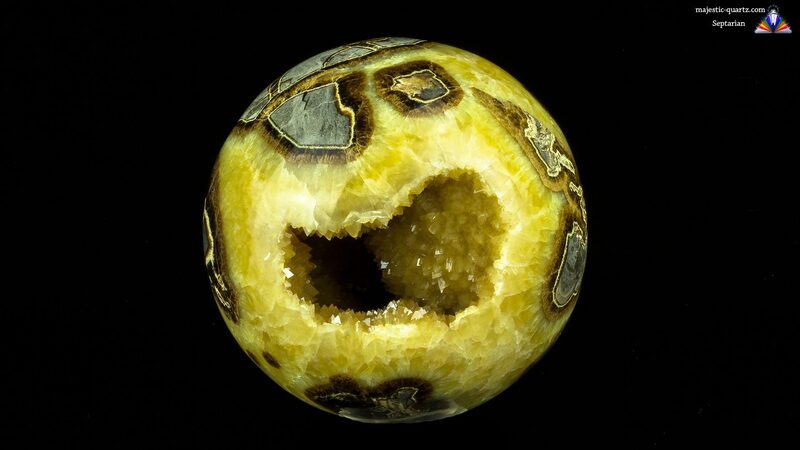 Septarian is a member of the Carbonate family. It comes in beautiful shades of black, gold, brown and tan colors. It is found in several locations around the world and is readily obtainable. Read more about Septarian crystal healing properties below. 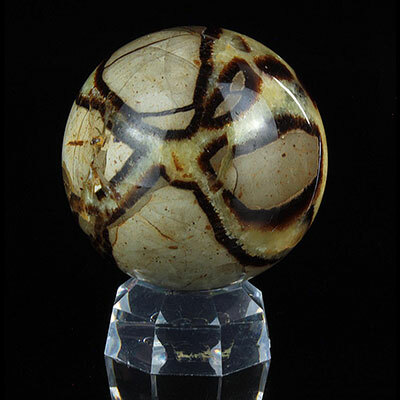 Septarian has strong shamanic energy and helps one focus on all things Mother Earth. It is a stone of communication, especially when one wants to convey new concepts while public speaking. 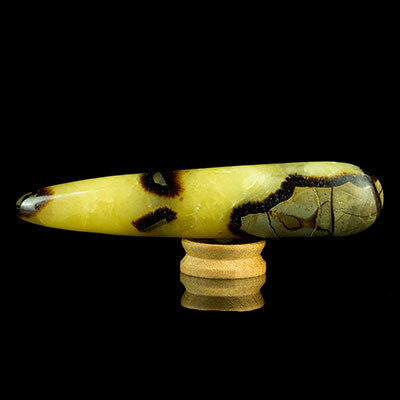 This stone is great to use when in group activities like drumming circles and so on. 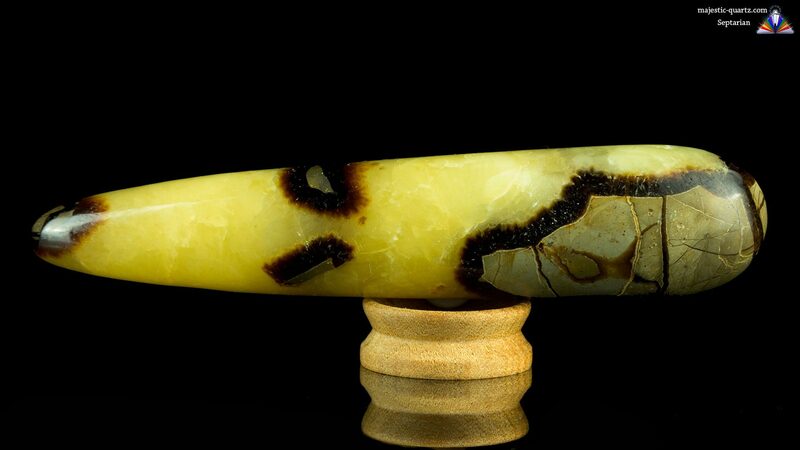 Septarian teaches tolerance, patience, and emotional flexibility. It has powerful self-healing influences when meditated upon. 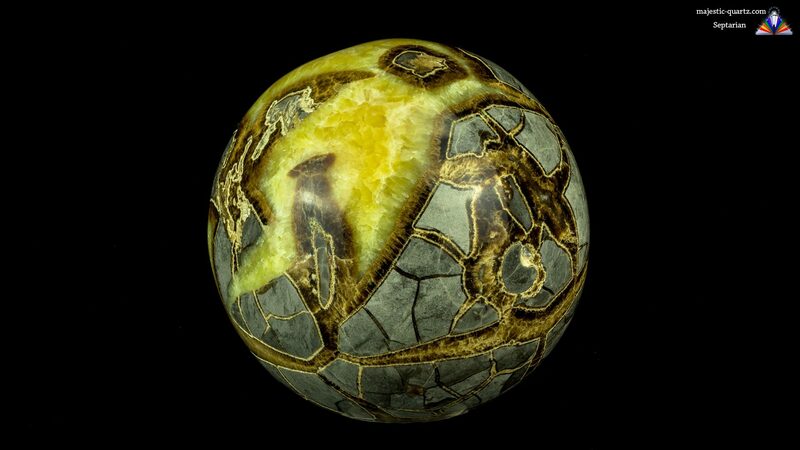 Septarian has strong devic connections and so is very good for working with when in your garden or for connecting with nature forces when in the wilderness. 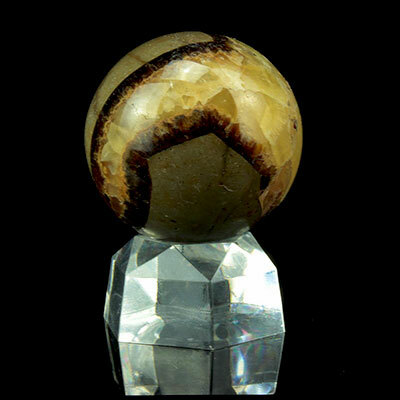 Click the Septarian Crystal below for a high resolution photo! Do you have a personal experience, question or information pertaining to the properties and meaning of Septarian? Please feel free to use the comments form below to share your knowledge with the Crystal Information encyclopedia. Please note, we moderate this feature to keep the site free from unwanted spam. 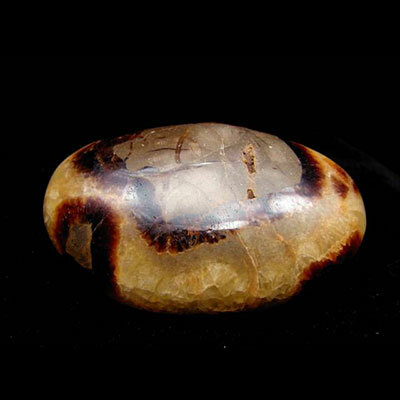 Is it true from your personal experience that Septarian stone grants you privacy from others unwanted attention? Or is that a bit of mistaken information? I’ve seen some reports that say this stone is great for harmonising group communication and co-operation and public speaking, and some reports that say it grants privacy and secrecy and personal space — It seems like the two qualities here feel a bit contradictory so I just wanted to ask which felt more true to you and your experience? I’m personally looking to buy a stone that grants me privacy from others which is why I inquire! Thank you for reading, please anyone share your personal experience, thank you kind regards! Hi, I have not had experience using Septarian as you are describing sorry. The go to crystal I use for the purposes you describe is Tourmalated Quartz. Here is a link below to its description page. I recently acquired a new piece for me. It just wants to be held, almost like I can’t put it down. When I do set it down I am drawn to go find it. Any suggestions on how to activate it or explain why it wants to be in my hand. It’s not comfortable being elsewhere on my body. Additionally it doesn’t seem to want to be away from me even when I put it out to bathe in the moonlight. I’ve been drawn to many healing stones in my life and have a delightful collection but this one is almost clamouring to be with me constantly. I have an additional question on another stone. I tried to research the site but it comes up blank on any other stones I am searching. I have a 2tone LARGE polish zincite. Fits in my whole palm that I had in storage for a long time I recently had opportunity to put with all of my other pieces that has the same interest in being held. I can’t walk around holding all of these stones all the time. What the heck! Can you explain that? I have bought a Septarian 7 Chakra pendant, very beautiful but the flat end is covered over with a silver metal. I have since learned some of that end should be left free to let the crystal breath. Does that mean the properties of this stone is spoilt? Would appreciate feed back .Many thanks.